December 20, 1943. Two Canadian infantry battalions and a tank regiment stand poised on the outskirts of a small Italian port town. 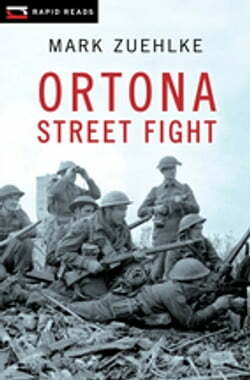 They expect to take Ortona quickly. But the German 1st Parachute Division has other ideas. For reasons unknown, Hitler has ordered Ortona held to the last man. Houses,... read more churches and other buildings are dynamited, clogging the streets with rubble. Germans with machine guns lie in ambush. Snipers slip from one rooftop to another. The Canadians seem to have walked into a death trap. This is a battle fought at close range, often hand to hand. Casualties on both sides are heavy. In the end, raw courage and ingenuity save the Canadians.